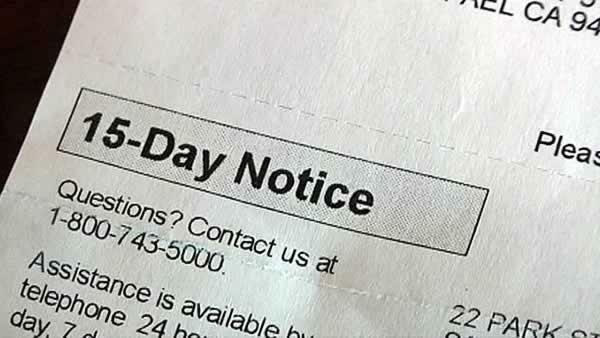 Need Help Paying Your Electric Bill? Sometimes, especially in this economy, most of us will experience moments of economic hardship. Families who need help paying their PG&E bill may benefit from a variety of organizations and programs who offer assistance in paying for utilities such as electric and gas. These organizations and programs offers economic assistance that, unlike loans, do not require repayment. There are many programs to choose from and you can qualify for multiple assistance programs at the same time. This programs are only available to U.S. Citizens. The Weatherization Program provides free weatherization services to improve the energy efficiency of homes, including attic insulation, weather-stripping, minor housing repairs, and related energy conservation measures. The Energy Crisis Intervention Program (ECIP) provides payments for weather-related or energy-related emergencies (including PG&E bill payments). In order to qualify for help through the LIHEAP program, applicants must meet basic guidelines. Interested applicants may apply directly through their local Department of Health and Human Services or click here for more information. The Salvation Army, working in a direct partnership with PG&E, has established a program to help low-income families pay their electric bills. The program, Relief for Energy Assistance through Community Help (REACH) offers help to people who are in danger of losing their gas or electric services as a result of non-payment. In order to qualify for help through the REACH program, applicants must have experienced an unforeseen and unavoidable hardship, such as a major illness or involuntary job loss, which has prevented them from being able to make their payment. The Salvation Army determines if customers are eligible for REACH help. To qualify for REACH, an applicant’s must meet basic guidelines. Generally, recipients can receive REACH help only once within a 18-month period, but exceptions can be made for seniors, the physically challenged and the terminally ill.To apply for REACH assistance in your area contact the Salvation Army at 1 (800) 933-9677 or click here for more information. PG&E offers help to low-income and medically needy people through a program that allows qualifying families to receive a discount on the costs of their electric bills. The California Alternate Rates for Energy (CARE) Program gives economically qualifying families help in paying their electric bill through discounted rates and payment extension arrangements to help avoid disconnection of services due to inability to pay. 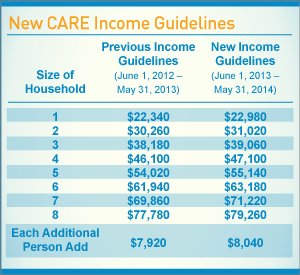 To qualify for the CARE program, applicants must meet basic guidelines. Interested residents can apply for this program directly through PG&E. To learn more click here. To apply, click here if you are a residential single family customer. Families whose household income slightly exceeds the low-income energy program allowances will qualify to receive FERA discounts, which bills some of their electricity usage at a lower rate. FERA is available for customers of Southern California Edison, San Diego Gas and Electric Company, and Pacific Gas and Electric Company. Click here if you are a residential single family customer. PG&E’s Energy Savings Assistance Program provides income-qualified renters and homeowners with easy, free solutions to help manage their energy use and save money on their monthly energy bills. To see the basic qualification guidelines, click here. Improvements to your house, apartment or mobile home including compact fluorescent lights, caulking, shower heads, minor home repair and much more. Replacement of your old refrigerator, furnace and/or water heater1. If you or any full-time resident of your household requires the regular use of a medical life-support device that is essential to support the life of a full-time resident of the household, or if a full-time resident of the household is a paraplegic, hemiplegic, or quadriplegic person, and/or if a full-time resident of the household is a multiple sclerosis/scleroderma patient, you may be eligible for a special medical allowance that may lower your monthly electric bill. For more information, check PG&E’s website.